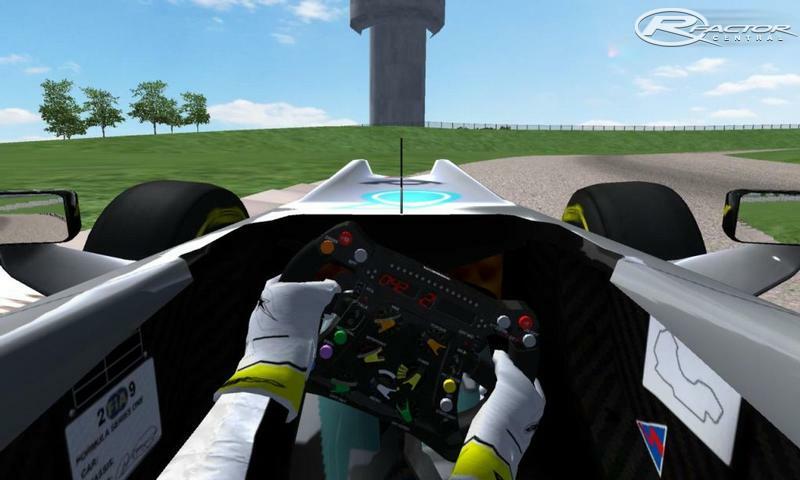 This is the rFactor version. -UPDATED to V1.01, fixed mipmap issue and startlights for the GTR2/GTL version. - Added fix for 'crash to desktop' problem: see below. This is a simulation rendition of BeaveRun, Pennsylvania, USA. The track opened in 2002 and is located about 45 minutes from Pittsburgh. It's not that well known yet, but something of a hidden surprise if you like fast but flowing club tracks. At some point I got into contact with Tom Griffith, who rode the real track a while ago and managed to capture its data with a GPS data logger. While not as accurate as for instance laser scanning, GPS does allow for registering some basic layout and elevation data. With Tom's help I was able to load those into Bob's Track Builder - mainly for the elevations - and then construct the track's layout using recent Google Earth sat pictures and videos. This worked out rather nicely. Hence the name, 'Beaverun GPS'. In short, it's basic, but the track's main features should be there. Hope you'll have fun with it. I hope to update it into a V1.5 version later on. 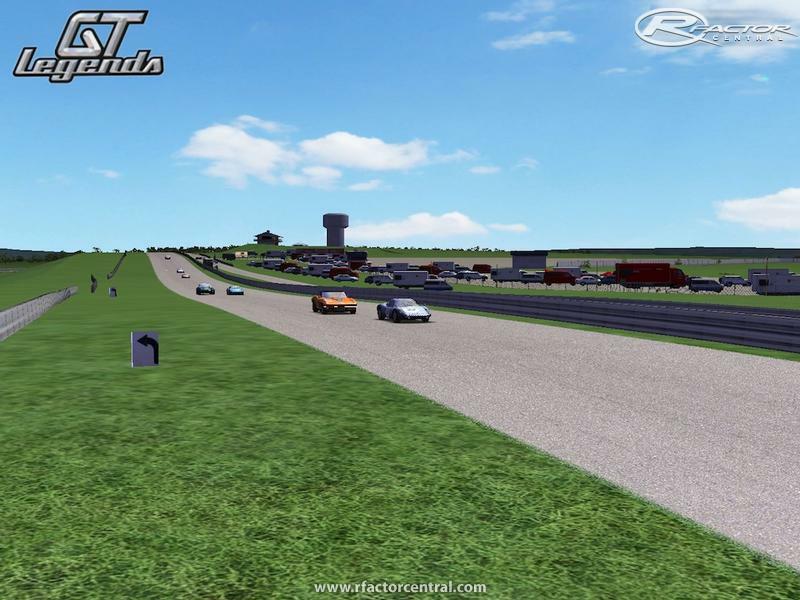 The track was mainly developed and tested for rFactor, GTR2 and GTL (running on a Mac) using Bob's Track Builder. 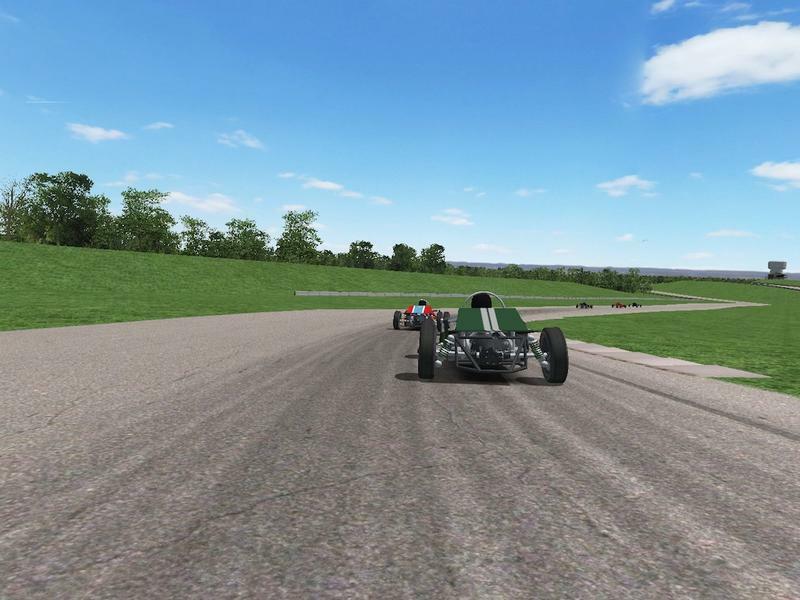 Since the real track is mainly used for club and historic racing, tests were done using the AE86 V2.0 mod, Vintage Formula Vee, GTL cars (modded), Plickbadger's Spec Miata, Vintage Formula Ford, rF Caterham and other lower-powered mods. To install, extract and copy the track folder to your rFactor\GameData\Locations\ folder. NOTE: If you'd like the AI to speed up or slow down a bit, raise or lower the Worst/Mid/Bestadjust values in the .aiw file by about 0.1 at first and experiment a bit until you're happy with it. For GTR2/GTL, also look into adjusting the RaceRatio value. Conversions of this track are expressly allowed, as long as proper credit is given. - The AI may not be setup that well for long(er) races, I tested them mainly during short ones, without pit stops. load the beaverun.scn file inside BeaverunGPS in Notepad and delete the bit at the bottom that starts with 'Instance=RotateY-0.07_contrails' and everything that comes after it. This should remove some of the added animation bits from the track and stop those files from loading in automatically. Save the file from Notepad and try again. - The dudes and dudettes at Racedepartment.com for Xpacks and for helping out. There are currently no setups for BeaveRun GPS. Add a Setup. The Sports Car Challenge add-on was originally developed. for the guys asking about the kart course i mean. there is one already. called pittsburgh kart course. it's not too bad. "pittsburgh kart course" under kart courses is somebody's attempt that you could try. its actually not too bad except none of the elevation change is captured and atmosphere and buildings and stuff are totally different. but the corners are not too far off. if only the elevation changes were there. it's really not quite that fast. not quite that "vast". the first and second turn are a little tighter of a chicane for example. also the "dive" just after the finish line before the first turn is slightly more abrupt. has a sense of danger as you see nothing but a wall until it's almost time to turn in. THEN you can see the first corner. they also run shifters and those laydown karts. yes they have a nice kart course as well (and kart shop. i think they specialize in or at least prefer birel chassis). but they run them on the big course too sometimes. just my $.02. im from the area. been there a few times. i have a shifter kart (mostly it just sits in my garage) ive been on THIS track for a marlboro ride along thing in a panoz gts. perhaps thats why it all seemed a bit "shorter" lol the panoz/driver was moving pretty good. I tested this track on Windows Vista and Windows 7, and on both operating systems - the game would crash (even after turning off Windows UAC). But - simply followed Radio1's instructions above, and removed the last 11 lines of BeaveRun.scn, and it works like a charm on both Vista and Windows 7. Even had some fun drifting around the skid pad. I did manage to get this working, and I must say that although this is not the pretiest track I have seen by a long shot, you managed to capture the atmosphere of the track quite well. I have been to a couple of track days at this place on my bike and have atended many events there, and I must say that the layout is pretty close as well from what I remember. I am having a blast with it. Although it is a pretty basic track layout, I think most will find that it is quite challenging to get a clean lap, and good fun as well. Thank you very much for your work Radio1 and to all that were involved! "Awesome job! Can you Please make the karting track too?" I'm looking into doing that at some later point, yes. Not sure if I'll be able to combine both tracks into one big scenery file, though. Also, Note: for some people the track seemed to cause ctd problems but not for most, see the Readme description above for a possible fix (worked for some at least, hopefully for more). Awesome job! Can you Please make the karting track too? It was made on a Mac, but it's not a "Mac version" of course. It's just for the pc version of rFactor (and GTL/GTR2), like any other track. These sims are, after all, only made for the pc (alas). The _MacosX folder is just a byproduct of the Mac file system. You can just throw it away (it's a Mac folder index file, nothing more). LocationsRF is what you copy from, to your own Locations folder. (19JWrench, it works for most people, so it should work for you too, provided it's installed in Gamedata/Locations. Or use the 1-Click-Install on RFC) . There is a "__MACOSX" folder and a "LocationsRF" folder. Copy the "BeaveRunGPS" folder from the "LocationsRF" folder to your rFactor Locations folder and it will work. It is working for me at least. This is a very basic version of a very basic track. 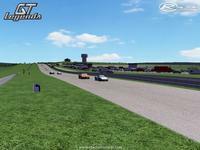 This is the first track in rFactor where my first lap was faster then the AI cars at 100%. I think the AI is a bit slow becaus the racingline is not so good.